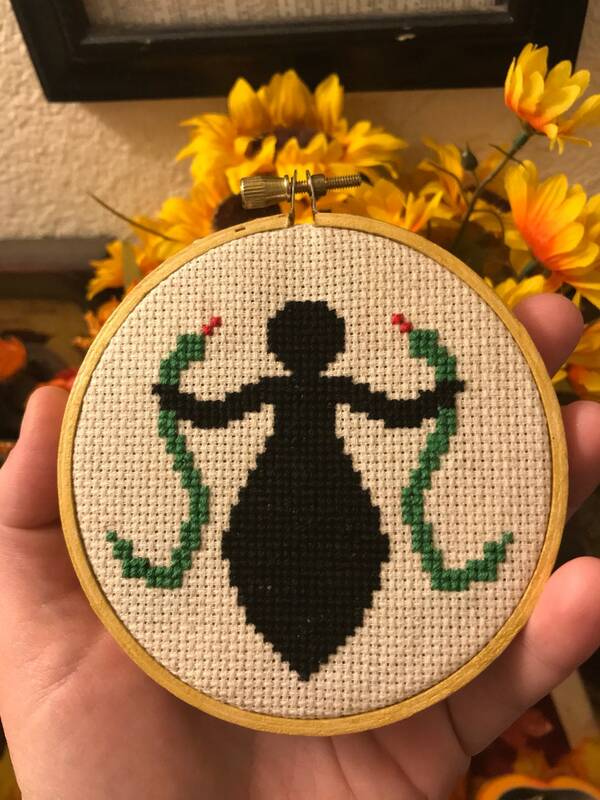 Minimalist inspired pagan artwork of a cross stitched Serpent or Snake Goddess. The body is made with black embroidery floss with two green snakes with red tongues on sandy colored fabric for a rustic or older feel. It’s a 4 inch hoop but measures a bit over. I painted the hoop with gold acrylic paint then sealed it. The excess fabric has been folded glued down and covered with felt to be softer on your wall.